A tough, super-lightweight liner with taped seams that will keep the contents of your running pack dry and protected. Available in 5L, 15L and 25L versions. Stay dry and protected: Keep running pack contents of all sizes, such as first aid kits, spare base layers, head torches and sleeping bags, dry and protected from the rain and elements. 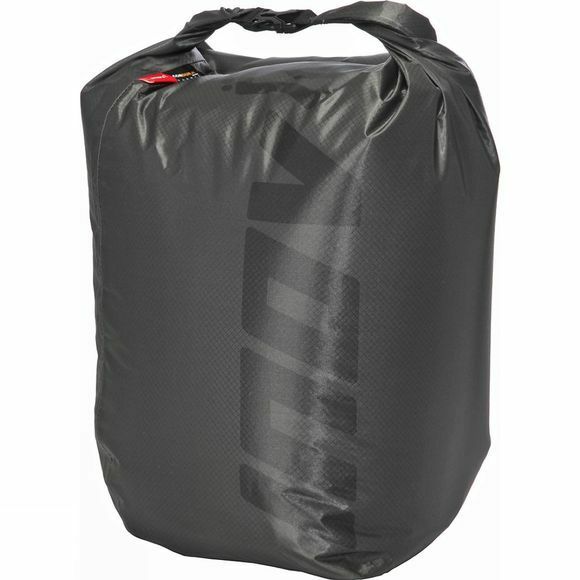 Versatility: Options to use dry bags of different sizes, with 5L, 15L and 25L versions available. Ease of access: A roll top with side buckle release make the dry bag quick and easy to open, access and close again. Lightweight durability: 30D Cordura fabric and taped seams ensure for lightweight durability and protection.